Planets | Cool Kid Facts . Let’s learn all about the planets of our solar system! 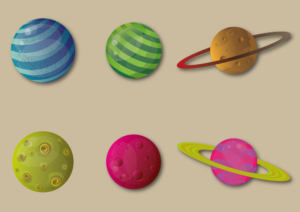 There are eight planets in our solar system, but did you know there used to be nine of them? Let’s dive right in and explore the planets. Our list below also includes the Sun and the Moon! How is your planet knowledge? Feel free to let us know.